On Jan. 1, as 2017 gave way to 2018, the women behind the “#TimesUp” movement declared their intentions with an open online letter to leave society’s discriminatory treatment of women in the past. In the letter published on the Time’s Up website, timesupnow.com, prominent women in the film and entertainment industry announced not only their solidarity, but also that they are organizing a legal defense fund to fight sexual assault, harassment and inequity in the workplace. “As a first step towards helping women and men across the country seek justice, the signatures of this letter will be seeding a legal fund to help survivors of sexual assault and harassment across all industries challenge those responsible for the harm against them and give voice to their experiences,” the letter said. Time’s Up was founded by a group of women in the entertainment industry, including Reese Witherspoon, Tracee Ellis Ross, Natalie Portman, America Ferrara, Shonda Rhimes, Lucasfilm's Kathleen Kennedy and entertainment attorney Nina Shaw. They shared their own “#MeToo” stories and discussed ways to combat a culture of sexism and discrimination. However, that was not all that the tweet included. “If you've been sexually harassed or assaulted write 'me too' as a reply to this tweet,” Milano said. Thousands responded. With this flood of shared experiences, many were left wondering what came next. What action can you take when the most important means of resistance is seemingly to simply speak out? On Jan. 1, the women behind Time’s Up gave their abusers, but more importantly other victims of sexual harassment and abuse, their answer- and it appears to be one for the history books. Prior to the letter, Time’s Up had been active on social media, mainly Instagram. Additionally, they combined fashion and activism by wearing black and a Time’s Up pin to the Golden Globes. 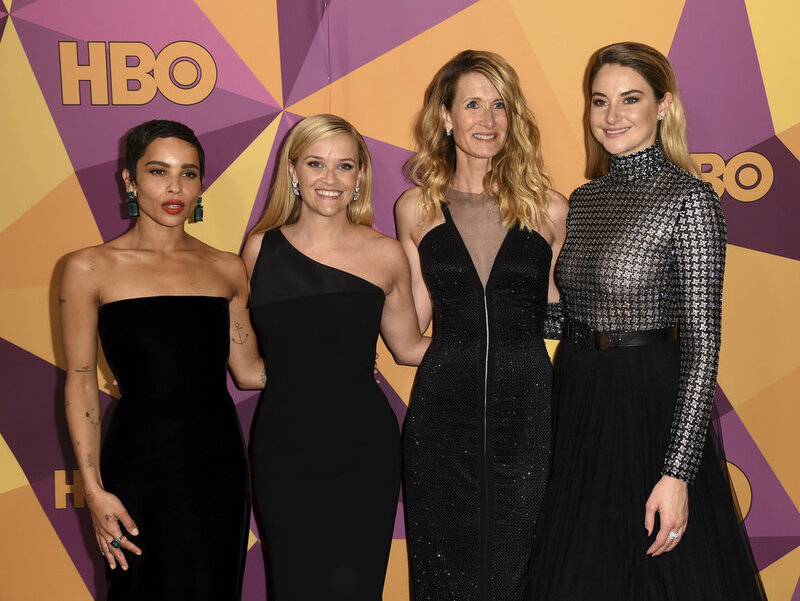 Echoing their mission, stars brought activists as their plus ones and were clad in black to fight sexual assault and harassment. While it may have seemed to be just for show or another Hollywood gimmick to exploit a popular issue, it was not. Unlike their predecessors, the women behind Time’s Up followed through on their red carpet appearance with real action by starting the legal defense fund. Since then, Time’s Up has been mentioned frequently in the media as more abusers are exposed and celebrities share their opinions about the movement. Most recently, Matt Damon added to his December comment on sexual assault and harassment in which he argued against treating all cases on the same level in favor of considering them on a spectrum. Maybe others should follow Damon’s example, because it’s time for women who have been told to care for everyone but themselves to put themselves first. That being said, the Time’s Up movement must be about more than female empowerment and defending female survivors. Thankfully, women such as Lena Waithe of “Master of None” and “The Chi” are working to amplify the voices of not only women, but also those of other marginalized people. I’m not sure of much, but I am certain that the clock has not run out on the Time’s Up Movement.